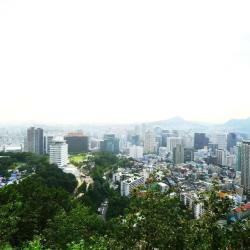 Looking for hotels in Hongdae? Conveniently located 1640 feet from Exit 1 of Hongik University Subway Station (Line 2, Airport Railroad and Gyeongui-Jungang Line), Amanti Seoul houses a seasonal outdoor pool and a free-access... Exceptionally clean, staff was very helpful and spoke English, which was good for my students and faculty who were with me It was close enough to Hongdae subway station so that we could get places easily. Yet it was on the “quiet” side of Hongdae. This is a great area for young people and very busy on Fri and Sat nights. Everyone liked the location. Set just a 5-minute walk from Hongik University Subway Station (Line 2, Airport Railroad and Gyeongui-Jungang Line), The Benikea Premier Marigold Hotel houses an on-site restaurant and offers free... The room was the perfect size. The bathroom was also very nice and spacious. We really enjoyed the location and proximity to the bars and clubs. 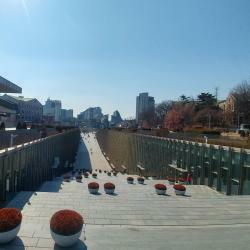 UWA Guest house is located in Seoul City only 1.9 mi from the popular Han River. This affordable self-catering accommodations provides clean and comfortable rooms with air conditioning. Everything was very comfortable, clean, and pretty. I enjoyed spending time at this place, I will definitely come back again. I could really rest in my bed, which was taken good care of. 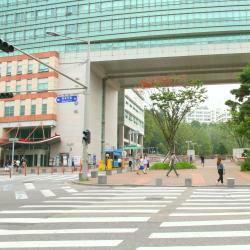 Besides, the location it’s perfect, close to Hondae but on the quiet side. Heima Guesthouse Hongdae has rooms in Seoul. 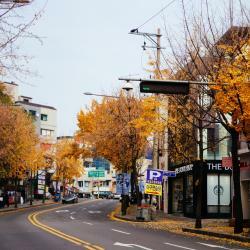 A 9-minute walk from Hongik University, the property is also 1.8 miles away from Ewha Womans University. good price for guesthouse in hongdae. close to train station take exit 7. surrounding with shops and yakiniku and street food! love the orange juice and coffee so much. the owner is super nice. feel like homestay. thank you so much Chris!